Registering the Boat as a Ship of the Irish Nation– Can We Make it Happen? Will the boat be C’est la Vie or Lady Mar? We have been told that it is much better if the boat can be officially registered in Ireland before we take it to France and Germany. As the boat has never been registered before, we have to start from scratch. But if we can register it, it will make our passage through officialdom in foreign lands much easier (so I am told). 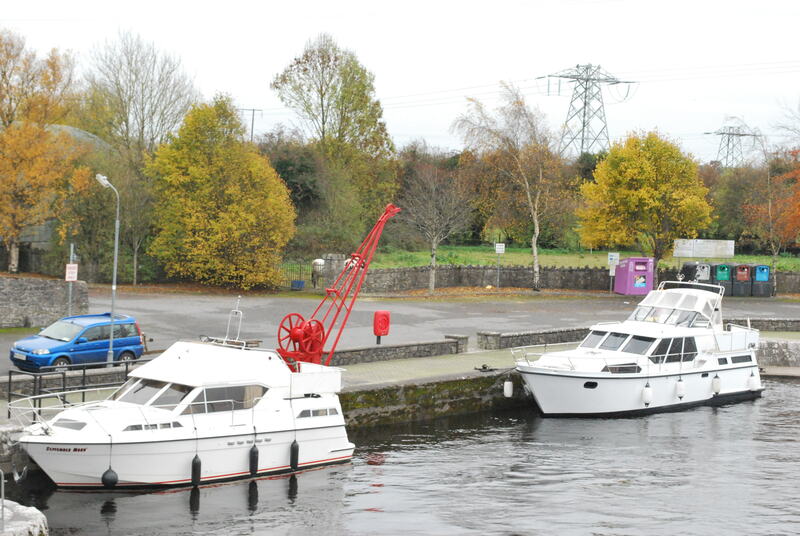 The boat has to be registered under the Mercantile Marine act of 1955 and we had to decide which of the following ports we would like designated as its home port, Dublin, Cork, Limerick, Waterford or Sligo. We chose Dublin. That was the easy bit! The real issue is that our small pleasure craft has to go through the same registry process as a new cargo ship or fishing vessel. The Department of Transport Tourism and Sport staff who have been very helpful and efficient, are doing their best to help me. They have even reserved the name C’est la Vie for me. However we have to comply with the law and we have to be able to fully prove my ownership of the boat back to the time it was built. The boat also has to be inspected by an official ship surveyor, who checks the boat, measures it and calculates its notional cargo carrying capacity. When all the paper work has been completed and approved we then have to fix a permanent plaque on the boat showing its name, official registered number and its net tonnage. Originally we were missing lots of paperwork. I contacted the builders of the boat Scheepswerf de Steven b.v. in Holland. Thankfully, this family owned boat yard is still there. They only build about 25 boats per year and as the Stevens ( Smelne) boats are so well built, lots of people want to own one. Finally, I got through to De Heer W.Venjee, who listened to my story, said he would see what he could do, warning me that as the boat is 18 years old, they probably did not have files on it. A few days later into my inbox popped copies of the original paperwork and drawings. Hurrah I thought, we are sorted. Off I went to the Register of Ships in Dublin with my file. Having carefully studied it and saying he would be as lenient as he could be, however he would need one more piece of paperwork to prove the original transfer of ownership . (The Register was correct there was a missing link in the chain) Back I go to poor De Heer W. Venjee who has gone off to have another look. A week later I am waiting with my fingers cross and Nuala saying prayers to Padre Pio. With only six weeks to go before we leave it’s getting very tight!!!!!! This entry was posted in C'est La Vie - The Boat. Bookmark the permalink.